This is the time of year where I think back of all the events and memories built in an entire year...reflecting on the good, the bad and the progress. I really love my life's journey and I am so grateful for all of it. My family and I have been super busy this year and I have had to put a lot of other things on hold....like my blog...just checked it yesterday and bust out laughing when I saw that my last post was made in June 2013. Wow, it has been a really long time...at least in the "blog community" perspective. I am also super late with my homemade holiday cards. I normally have all of them sent out by now but I am not even done with them and don't even have the family picture for them either. Like I said...busy time. This does not mean I haven't had time to be creative or not be in my studio. I certainly have, but I have not taken the time to share my projects with the rest of the world...that time has been replaced with other things...like making our house more homey and visiting family and friends and cooking healthier meals and organizing. I will keep posting on my blog though...just very sporratically. One of the other things I have been doing instead of blogging is making decor projects for home representing the current holiday or season. 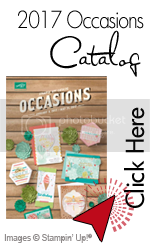 And right now I am planning to make a couple of nice garlands with my kids...it couldn't happen at a better time since Stampin'Up just today put out more products on their clearance section. 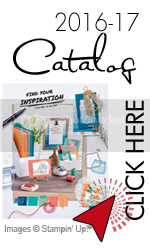 Did you know that Stampin'Up has started weekly deals? That's right! Every Tuesday, Stampin'Up will have a discount of a few products just for that week. Stampin'Up loves Valentine's Day! And why wouldn't they? It's a chance for everyone to say "I love you." And it doesn't just have to be about romantic love. This holiday is a time to share the love with anyone and everyone. 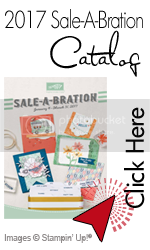 Stampin'Up is here to help you prepare with the A Whole Lot of Love products.